During this episode, Neil is going to reveal how he finds his clients, how to position your services, how to make sure that your webinar sell, and how to systematize it to run as smoothly and efficiently as possible. Cindy: In episode number 3, I interview Neil Napier who has been responsible for many multiple 6-figure webinars throughout 2014, 2015, and now 2016 he’s absolutely smashing it. His strategy is actually quite unique in that he doesn’t create the products himself rather he offers what he calls WAS and he’ll explain that to you a little bit more. Basically he finds clients who have products and creates high converting webinars for them. During this episode, Neil is going to reveal how he finds his clients, how to position your services, how to make sure that your webinar sell, and how to systematize it to run as smoothly and efficiently as possible. Welcome, Neil, it’s fantastic to have you here. Neil: Thank you, Cindy, good to be here. Cindy: Thank you. Before we jump in, can you share with us how you first learnt about webinars and how long have you been … What’s your experience with webinars? Neil: Sure. Back in 2010, I was working for this company in the UK and they had to let me go because they were cost cutting following the 2000 recession, so it was quite a bad time. A friend of mine told me about freelancing online, so I got into freelancing online and slowly just via that I met a lot of different marketers who were selling products online. One of the marketers actually became my mentor later on, and he told me the power of webinars. He showed me exactly how he was doing webinars. I realized that that was a way to go if you really wanted to connect with your audience at a more personal level. Webinar allows you to get a lot of people on call at the same time, and actually answer their questions, generally stay there, demonstrate what you have for them, answer their questions, overcome their objections. These things you can’t do on a video. He taught me all these things, and he showed me exactly how he structured his webinars, how he was able to take … A list that wouldn’t respond anymore to a list that would convert for even offers as high as like $2,000 a piece. He showed me this whole strategy which went beyond just email marketing or just video marketing. That was a really, really big game changer for me because I realized that the market was so much bigger. The opportunity was so much bigger than we knew. That was about 3 1/2 years ago. I had been to one webinar before that. I must say I got lucky, I had launched something. I had 100 sales not too many, and I got 5 people on the webinar. I was teaching a $497 product and I got lucky, I got one sale. That itself was exciting enough to know that this can work. Back then, 500 bucks for an hours worth of work was a lot of money for me. Of course now, the number’s much different, but just by doing that webinar I knew that this could be a successful strategy that I could keep on doing over and over again. Cindy: Being able to sell higher tickets, if you can sell $1,000 product versus $110 products, it’s a lot easier to just close that one sale, especially if you can connect with people and get really face to face with them with webinars. Neil: Exactly. Actually on that call I got all of … Because there were only 5 people, I got them all on the call to talk with me, and that really reduced the objection rate that they had because now they knew that I was approachable, and webinars make that happen. In video you’re just watching someone on screen, and email you’re just reading text, but in webinars, you’re actually there with them, in the moment listening to them, interacting with them and so on. It’s very good. Cindy: Why don’t we dive into this, and you can just share with us, what does WAS mean? Neil: I don’t think it’s an official term, I think I’m the first person to actually coin it which might set a trend, but as they’re Software As a Service or Platform As a Service, PAS, I’ve coined the term Webinar As a Service, WAS. You’re basically doing webinars for other people. Here’s the thing you have to understand, that there are not a lot of people out there that can do webinars. Let alone that, there are not a lot of people out there that knows about webinars, or know the power of doing webinars. My aim, when I perfected webinars for myself, my own products and services, we also do offer this as a service to clients as well. What I started doing was reaching out to people who I knew had a product launch coming up. They didn’t have a pre-launched strategy, they didn’t really have a webinar because I knew that can matter really well for us. I knew I could help someone else make money if I could do webinars for them. I simply approached them and said, “Hey, listen. This is what I do in my business, abc. This is how I structure everything. What I can do as well for you is help you structure a webinar. I’ll just consult with you. I’ll just tell you what to do. I’ll tell you how to position your pre-launch. I’ll tell you how to position your webinar, and then you can do it,” but Still they had an objection. They said, “Sure, but I still don’t want to do it,” or, “I don’t have the skills to do it. Can you do it?” Then I realized, okay, instead of just offering them a consulting package, I could actually do the webinar for them. I could be a webinar spokesperson for them and actually take care of the whole thing myself. The service was born. I realized that there was big new more markets for people who couldn’t run, who could number one consult with other people about webinars. If the vendor didn’t want to do it themselves, we could actually do webinars for them as well. We’ll hopefully discuss that today. I want to share how to also find clients who already have high ticket coaching, are already public speakers. You just go in and help them, teach them how to do webinars and they do it themselves. This very crucial to actually setting up your own service, being able to consult with the people, and of course, if they’re not able to do it, you actually do the webinars for them as well. Cindy: Okay. When you’re consulting with a client, are you talking about … You find someone who has the products, do you then build the webinar pitch for them, or do you just consult them and tell them step by step, “This is what you should be doing on a webinar,” or are you talking about doing the whole thing? Neil: It really depends on the package. If I was to take the very cheapest package that I would have, I would say, “Okay. I know you have a product, but I know you have …” Let me just use as an example as well, one of them is GVSU marketplace, the other one would be an Amazon marketplace where their best sellers are in non fiction books about how to have a better body language or how to understand people better. Let’s say that’s their goal, and they also have a high ticket coaching, or let’s say even if they don’t have a high ticket coaching. What I would do number 1, the cheapest service would be to consult with them, to actually go to them, talk to them about what they do, what the business is like, and discuss maybe that they could have a higher $2,000. $5,000 package. If it’s a product launch in JVZoo marketplace, simply going to them and telling them that, “Okay. You should do a webinar, and this is how you should pitch it. This is what you should do.” That’s a very basic package, just consulting with them. A little bit more, is when actually I create presentations for them. Not only do I tell them what to do, but actually do it for them. I create the presentations as I help them write the emails and that’s it. I think the final package is where I actually do everything for them, which means that they bring in all the traffic, so I’m not responsible for traffic at all. They bring in all the traffic. They have the product. I simply create the presentation. I create the emails and then I deliver that presentation live on a call to their audience, while having them on the call as well. Of course, depending on what they go for, the price varies. Always I try and come up with something in which I can get a flat fee as well as a commission percentage on top just because you never know what the other person’s like. They might be able to even be able to put up 100 people on the call. In that case, if you’re working based on commissions you lose money. You really want to come with a balanced … If you’re consulting just go ahead and charge a flat fee. If you’re actually doing team work as well, charge it to a percentage as well. If you’re doing everything, charge a hefty percentage in that case. Cindy: For the 7-figure furnace listeners out there, you guys you have to … You should see by now that there’s a lot of products out there that aren’t being delivered, and probably could be delivered by a webinar. If you look at the marketplace and you can find products that are selling top quality products backed by great support that are just missing that final set to actually meet with the clients and get them to come in and hand over their money in a way that they would’ve done before. That’s pretty much what you do, isn’t it? How do you find your clients, how do you actually … Do you have places where you go? You generally hang around GVSU or you’re looking for Amazon clients, or how do you find your clients? Neil: There are 3 places. For me, because I’m already in the market, the lowest hanging fruit for me is in the JVZoo marketplace. I can tell you, and I’ve been looking at launches recently just to study this a bit more. About 8 out of 10 launches don’t do pre-launch webinars. Every pre-launch webinar I do does between $3,000 to $6,000+ customer in list as well. I know that if I approach the right ones, even if I do 4 or 6 a month, that’s already good money. For anyone who’s trying to break through in this market, and they already have good way to actually position webinars, then I would think JVZoo marketplace is the simplest one, number one. What has also worked in past days, reaching out to Amazon bestsellers. By bestsellers, I don’t mean only top 3 people in the list, but anyone who has a non fiction book, for example, published on Amazon. If they’re talking about business management, if they’re talking about some kind of public speaking or psychology, they already have skills they would need to talk, for example, so you don’t even have to do anything there. You just need to reach out to them. They probably already have a high ticket package. If they don’t, you can help them construct one. It’s not the lowest hanging good, but it’s still pretty good because these people are already selling something. They have money to pay you if you approach them. This is something we’ve employed in past years, reaching out to Amazon bestsellers and approaching them with a simple email saying, “Hey, listen. This is what I do and I can help you do the same as well, if you don’t do that already.” If you do a bit of research, going to the websites and finding out if they have high ticket package that would help you, but even if you don’t, you will find a lot of them come back to you because they want to make a lot of money too. Then you can say, “How about we construct a whole package around what you do, we price it at $5,000 and I can help you with a webinar. You just have to bring in the traffic, which you are already getting from the YouTube videos.” If you structure it like that, these people already have the list, they just don’t know that they should be doing webinars. Even then, they don’t know how to do webinars. I think that’s where anyone could come in, and add a USP to their bottom line. Neil: Yeah, absolutely. That’s just basically free money, because these guys already know how to present on YouTube. They know how to get in front of the camera and do [it 00:11:27]. You just need to guide them and to package them, and get them into your service. Neil: Yeah. It is quite easy because these guys are all ready. They just want to know about it, and you just go and tell them. Neil: Yeah, absolutely. We’ve discussed how to find clients, how to position yourself, and how to package your service. Maybe we can talk a little bit about how to sell on the webinars. What is your approach when it comes to actually guiding someone from … Once they actually get on to your webinar, how do you guide them towards the sale? Neil: I’ll say this from that. A lot of people, and I’m actually working with an apprentice right now, he’s really afraid of selling. He’s like, “I feel embarrassed about it. I don’t feel good about it.” The thing is, once people actually start talking with you, they come to your webinar, they want to be pitched to. As crazy as that sounds, they know why they’re there. They’re there to learn, of course, but they also want to buy. You have to sell because if you don’t sell at that point, you’re doing injustice to yourself if you’re doing injustice to them. I want to use that analogy, it’s like heating up your dinner and not eating it at all. You’re saying, “I’m not hungry anymore,” or, “I don’t feel like I should eat meat anymore.” If you bring people to a point where they are prying to buy from you, please do sell, because if you don’t they’re just going to go and buy from someone else. Again about another analogy, if you don’t good in a club and everything is going really well, you’re like, “I won’t go for the close, I’ll just go home.” She’s going to go with someone else. You’ve got to close the deal when you can. Webinars are the same. As soon as someone gets on you have to understand that they’re there to learn from you. You are the expert ,or your customer is the expert, that your client is the expert. Number one, always remember that. Always remember that they’re there to listen to you, not the other way round. Number 2, when it comes to selling, always feel confident that what you sell is the best thing they can get today, and it is, that’s why they’re there. Always in your mind, when you’re preparing for it, know that people want to be sold to. That’s number one. Number 2, the different ways to close people on a webinar. First of all, even before you get to the pitch part, you should always give value, you should always give people enough value so that they see that even for free they get to learn so much from you, therefore paid, it would just completely blow everything out of the water. The free thing that you give to them have to be just amazing, really good. Even if they leave after that, it should add enough value to their business. When it comes to the pitch, I like to go through 3 things. One of them is logic close. The second is emotional close. The third is scarcity close. The logic close is simple, is that they understand everything about the webinar. They understand why that package should be important for them, and you just drive the point home that, “Hey, listen. I’m out in this … All of these features, all of this value, there’s bonus number one, bonus number 2, bonus number 3 and so on. That’s logic driven. A lot of men, for example, are logic driven when it comes to making decisions, but ironically enough, when it comes to buying they go into emotional mode. We come to that. The second mode is the emotional mode where you tell them that, “Hey, if you don’t buy this today it’s okay, but here’s what life could be like if you do buy it. Here’s how things could turn up if you do make a decision today.” It’s about positioning your offer in an emotional way, so people really feel like that they can get a lot out of it. I think they can. If you’re pitching your service well, they can get a lot of what you’re selling to them. The third one is the scarcity close. Say, if both of these same people are still on the call, they’re waiting, you drive the scarcity home. You say, “This is only available for a short time.” You say that your bonuses are going to expire. You say that there’s a fast moving advantage here and if you don’t get there right now someone else is going to get benefits for using the system. As long as you go through these 3 things, and as long as you go through an objection list as well that they could have, you will be able to close a lot of people. We ourselves have been able to close 70% of people in the past just by doing these 3 steps, and then going through the objection one more time at the end. Cindy: Right. It’s about just acknowledging that they’re actually there for the webinar and they want to buy something from you. We say webinar a lot but a couple of people have been mentioning lately they’re moving from calling it webinars, what’s your opinion there? Neil: You can call it whatever you want but it is what it is. Cindy: Yeah. When you’re selling, because people come and then they’re going to be pitched. They get a vendor that they’re going to be sold to. Are you still calling the webinars when you’re promoting them or do you call them workshops or do you call them training sessions? What are you calling them? Neil: It’s a very, very good question and I think it really depends on how you want to position. The way I look at it is if you call it workshop and if you call it training, you really have to give a lot. You really, really, have to give a lot. If it’s a webinar … We get people who are die-hard fans of our company, for example, we get people who know that they’re going to be pitched to when they’re ready to buy. They run a 3-hour session, so it was like really good training but here’s what they also did. Within that training that they delivered another pitch for $497 product. Funny enough, a lot of people bought it because they had already committed by paying a $1. Even if they had paid $1 the $497 thing, and even if after that they go and say, “Okay, I want the refund for $97,” that’s still okay. You’re still $400 up. In that sense, there are many ways to position it. It really depends on what you want to deliver. If you’re new to this and you know you don’t really have some expertise in something, you can go and just do it as a webinar. If you’re in public speaking, if you can deliver lessons on psychology, sure do it as a workshop because I think then it will really help people. At the end of it you can have a soft pitch and you can follow it by email after that. Cindy: Right, exactly. We haven’t mentioned today, but I’ve heard you talk about the Pareto principle before. Maybe you could explain Pareto to our 7 figure furnace listeners, and how you apply this to webinars. Neil: Sure. Pareto principle in essence is the 20% of work that you do, delivers 80% of the results. 80% of the work you do, delivers 20% of the results which makes that 20% redundant. I like Pareto law because as entrepreneurs we have so many ideas. We have so many clients we can work with. There are so many webinars we can do. The thing is what we found after doing … I think we have done today about 500 plus webinars. What we found was that we spent a lot of time preparing for them, and unfortunately some of them just don’t work. For some of them, the clients just back out. The improvement and results is very little when we try and do a really good job or an amazing job, so we decided that quite some time ago is that we’re going to focus on doing the bare bones in the beginning, just to see how the results are going to be, and of course if they’re good we’ll go all the way. In the beginning when we’re creating a webinar presentation, what we used to do was we get full time designer onboard who’ll do icons, everything image on the webinar would be carefully crafted by him to get a higher conversions. Then we realized that even if I don’t let him do all that, even if I work with a white screen pop or in webinar background, and if I just go with that, it still gets good numbers because at the end of the day it is about the pitching. It’s about the positioning on the webinar as well. We realized that we were doing a lot of wasteful processes, trying to do … Trying to really look more professional and getting really good at it, but instead we should just have been focusing on trying to get a sale in the beginning. Once you get a sale, that’s motivation enough to improve and do better. In terms of Pareto principle we realized that we didn’t need a full time designer for that kind of thing. We didn’t need to do 10 different things that we were doing. We could focus on the bare bones, build the results, and of course, if the results are good and long lasting, then we can get someone to work on a full blown presentation. Pareto’s law, especially if you’re an entreprenuer if you have 10 different ideas, Pareto’s law allows you to give only 20% to [inaudible 00:20:00] and find out which one of them is really profitable for you. Then, once you have 1 or 2 of them, you really go deep into them and you really scale them up. That is very, very crucial when you’re trying to juggle multiple clients, and it is going to happen if you do everything of what I’ve told you to do today. Cindy: On just managing multiple clients, do you have any tools that you use, any software tools? I use Asana and also Basecamp often. [inaudible 00:20:28] they’re all my awesome little collection of tools. What do you use to manage stuff. together. I’m looking into it because I want to minimize the number of tools that we use and just bring everything together, so I’ll checkout Glip as well. At the moment we use Asana. Cindy: Yeah, a Sana is great because it lets create less and plan out your projects and manage several people, and I think it’s free up to about 16 users or something like that. If you have 16 staff or whatever, you can. You don’t have to pay, so it’s awesome. Neil: There’s a little [inaudible 00:21:15] I’ll tell you. We’ve reduced in our company. We can actually have multiple groups under that. What we have done is we’ve separated the launch team and the promotion team and the product development team because they grew too big so I couldn’t have 30 people in one room. I just have now rooms of 10 people each, and that works pretty well as well. Cindy: Excellent. That’s good. Then you’ve got a little bit more focused as well, so you don’t have to have all of this popping up that you don’t really need to look at at the moment. Do you have any last minute bits of advice to share with our listeners before we wrap this up? Neil: Sure. Even if you think that this seems a bit difficult to do, just do this exercise. You can go to MunchEye for example, and look at all the launches that are happening or alternatively go to Amazon, find all the bestsellers and you can hire a [VO 00:22:01] whoever and mail 100 people in a week and see how many responses you get. I can guarantee you that at least 5 people will be willing to get on a call with you and you would close at least person for something that will deliver you $5,000+ for a few hours of work. I really think it is profitable. You just have to sit down and do it. Cindy: Good advice. Thank you very much, Neil, for joining us on our show. I appreciate your time. Neil: Likewise, Cindy, thank you. Cindy: Okay. Take care. 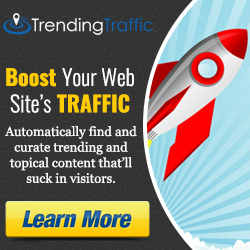 ← 004 Chad Nicely: Structuring an Earlybird or Prelaunch Webinar For Up To 70% Conversion Rates! Great post here. And I do notice there are a lot of people who are….not at the top of their game on webinars. I agree with Neil….if you’re gonna do it, go in for the kill. Don’t just let it lapse. They came to you, close the deal. And if you can’t do it yourself, then definitely hire someone who can do the close for you. And when people see that they’re getting “deals” from the webinars, whether a lower price, a link for a free ebook, etc….they feel included, so to speak. And we stick to doing webinars….the phrase works well enough for us, so we’re golden. Interesting to hear a podcast from someone who’s been in it for a good while though. I’ll definitely take some of what Neil’s mentioned and apply it to our services.